View More In Decking & Fencing. Features: Features 3.6 Volt 1.3Ah NiMh battery packs, a magnetic base and a CEC AC charger. Chargeable as well as flexible and pivoting. 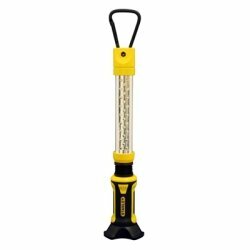 Constant light output with a 360 metal carabineer hook. Contains rubber over molded handle as well as flashing mode. Easy to use. Ships from 1 of 10 warehouses around the country: You get your tools FAST with standard shipping! If you have any questions about this product by Baccus, contact us by completing and submitting the form below. If you are looking for a specif part number, please include it with your message.